Stevia in the Raw is a calorie-free, 100 percent natural zero calorie sweetener, derived from the sweet leaves of the stevia plant, native to South America. 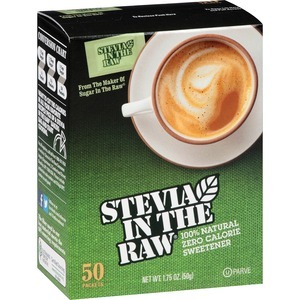 Stevia contains no artificial ingredients, colors or preservatives. Sweetener comes in single-serve packets.